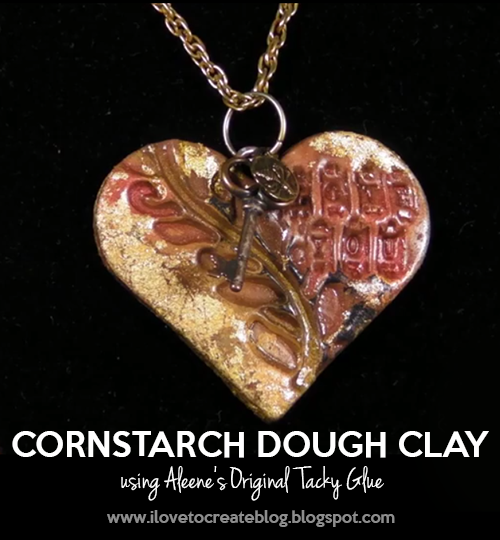 Did you know you can make a great crafting clay using Aleene's Tacky Glue and cornstarch from your kitchen cabinet? Yep! Two ingredients are all you need to make an easy-to-make air-dry clay that will save you time and money! And who doesn't like that? Watch my video below or simply follow the easy steps! I've included some beautiful eye candy examples at the end too! There are so many possibilities with this clay!! 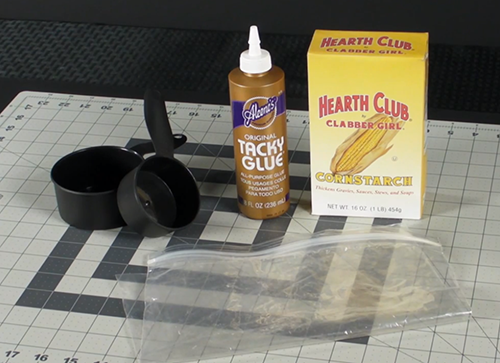 Measure out two parts cornstarch to one part Tacky Glue and place inside the plastic bag. 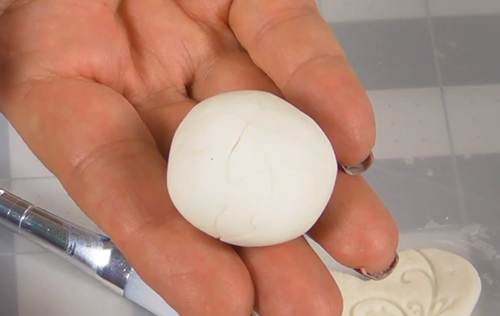 Knead the mixture in a plastic bag until it's smooth and pliable. It will take 5-10 minutes. If the mixture is too sticky, add more glue. If it's too stiff, add more cornstarch. ...then use a roller to roll out the dough and flatten it. Use cookie cutters to cut out shapes. 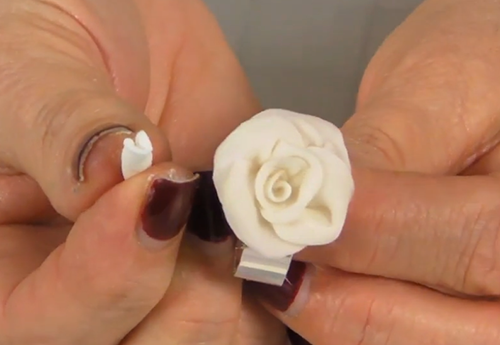 You can also form shapes with your fingers like I did with this rose. 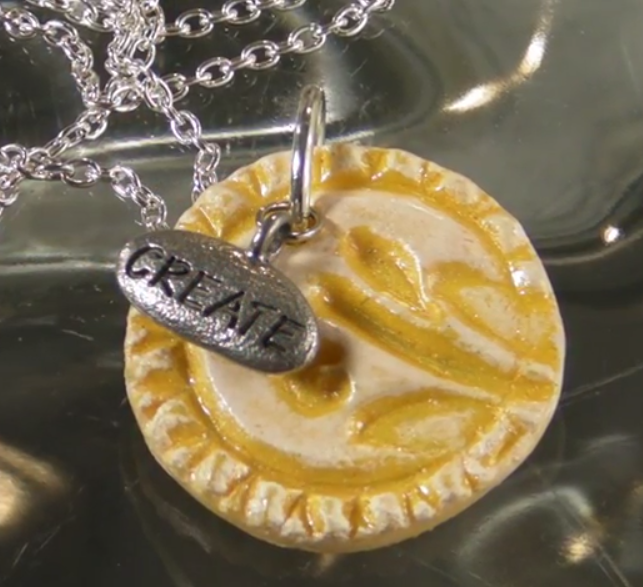 Add color to the dough by kneading the dough and acrylic paint inside a plastic bag - or - by applying the paint directly to the piece with a paintbrush. 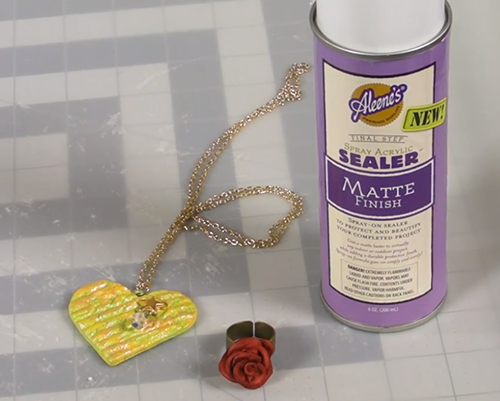 You can use household objects like this plastic doily to emboss your design. Rubber stamps also work great as you can see. 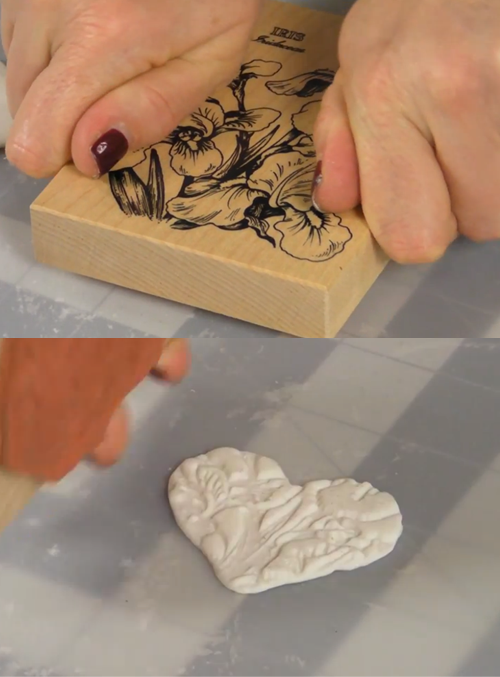 If you plan to hang the piece, be sure to use a sharp-pointed object to poke a hole in the clay before it is air dry. Let the finished piece sit for 24-48 hours to dry. Spray it with Aleene's Spray Acrylic Sealer to finish off the look and seal your project! 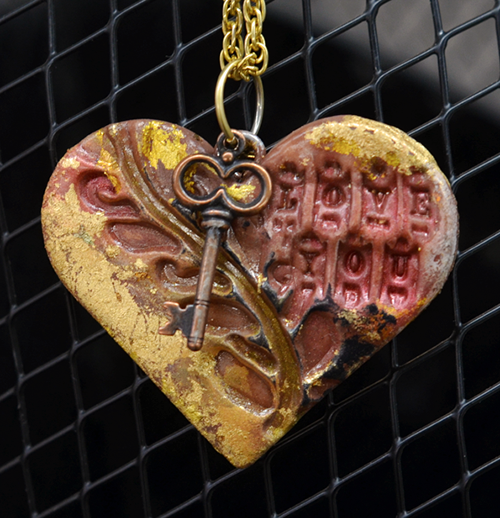 Add the charms to pretty jewelry projects. 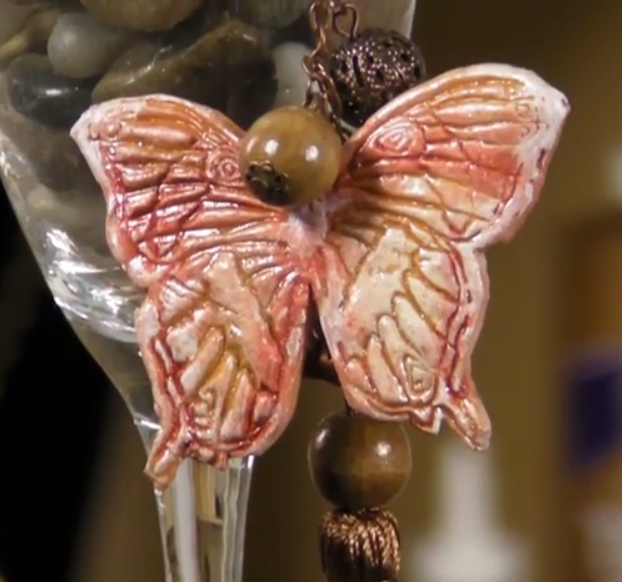 They are a perfect addition to tassels or hang charms to give a finished look to décor or fashion accessories. Here's a couple more examples of how pretty they look with rubber stamps. 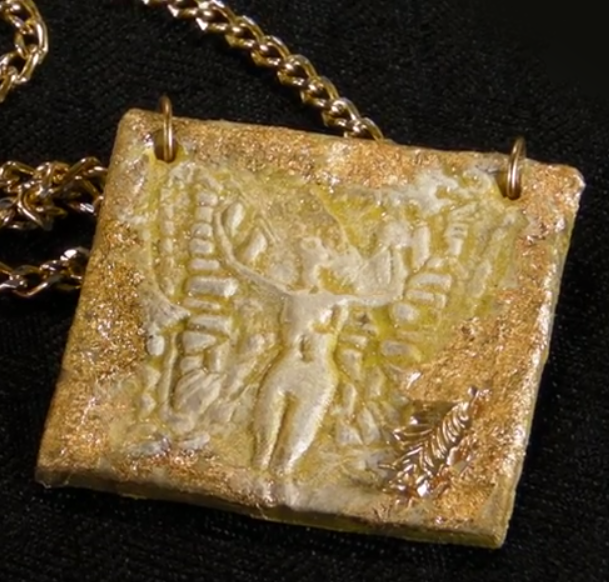 We rubbed on some gold leaf and embedded some charms for a mixed-media effect. 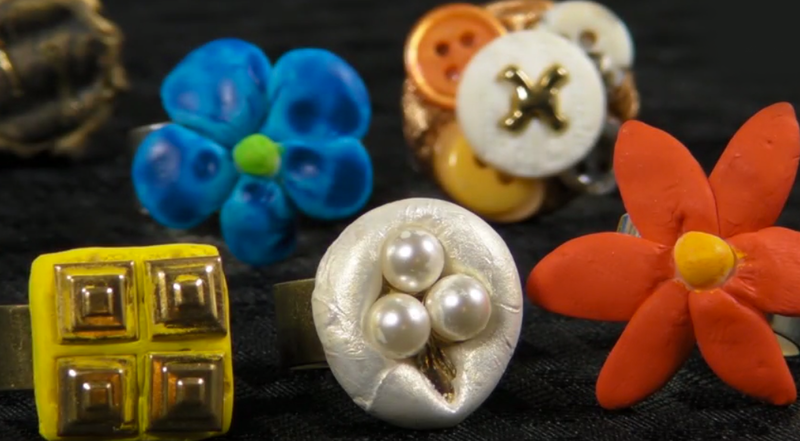 The finished designs can also be glued on ring blanks or earring backs for custom accessories that make great gifts! This clay is so easy & fun! I'd love to know what you'd make using it! that's so pretty! I'm gonna try and make one. Thanks for sharing. These look like rose gold and vintage..I love this project think I will give it a try....Thank you for inspiring blog. Looking at on here look's like piece metal or hard finish ..like this good job !!! I am excited to try this! I have so many ideas! While reading the directions, my thought was the same as Anonymous. If it is sticky, why would you add more glue? It's supposed to be the other way around -- too sticky, add more cornstarch; too stiff, add more glue. Would this work with regular white glue? Are these made to last a long time after you spray them. Just wondering since they are made from corn starch? Love these, just bought some tacky glue and can't wait to start. instead glue can we use fevicol? Very, very neat looking craft! Oh the possibilities...I will be trying this soon. Thanks for sharing with the awesome tutorial! Is it necessary to spray acrylic spray.......I can't find it in d market......and what all colors we can apply on cornstarch clay? ?